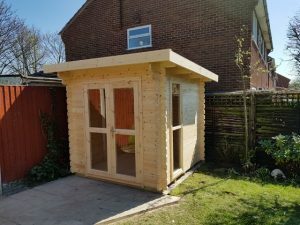 Although all the information is the same as on our website, you may like to have a look through our brochure for garden log cabins. We can also post out some small samples of the wall logs, roof boards, floor boards and roof shingles so you can have a proper look at them before you order. You can download a copy of the brochure using the link below. Or we can post out a brochure and some samples, just send us your request by filling in your information on the contact page.